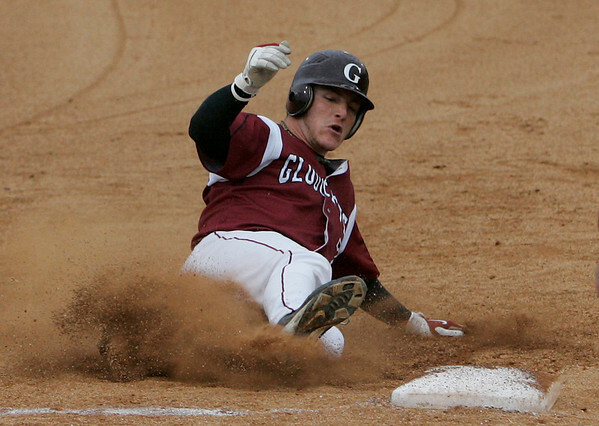 Lynn: Gloucester captain Conner Ressel slides safely into third after a first inning single by captain Brett Cahill during Gloucester's Division 2 North semifinal game against Masconomet in Lynn on Wednesday. Ressel would score on a hit by Adam Philpott later in the inning. Photo by Matthew Viglianti/Staff Photographer Wednesday, June 9, 2010.